Continuous Positive Airway Pressure (CPAP) is a leading therapy for sleep apnea. Our Delta dentists describe how CPAP works, and how it can help you get a better night’s sleep, below. Sleep apnea causes regular pauses in breathing during sleep. These pauses can occur as many as 30 times an hour, and are the result of the airways getting closed or blocked. 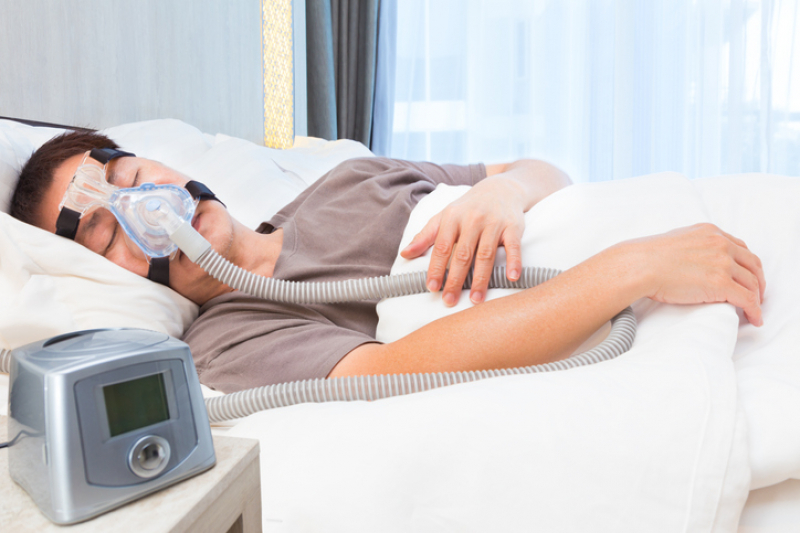 Continuous Positive Airway Pressure (CPAP) therapy involves wearing a facial or nasal mask that is connected to a pump during sleep. The mask and pump create positive, consistent airflow into the nasal passages, effectively keeping the airway open. Depending on the type of CPAP device you are using, the mask may go over the nose, fit under the nose, or go over the mouth and nose together, or fit over the entire face. Side effects users of CPAP devices experience are not significant, and temporary. They include sore eyes, headaches, nasal congestion, abdominal bloating, and general discomfort. They typically decrease and eventually go away comepletely over the course of 2 weeks to 3 months. If you are suffering from sleep apnea and are wondering if CPAP is right for you, please contact our office for a consultation.